MCH is a Selection Of Church News, LDS Trends, Stories, Mormon Lifestyle And Other Useful Ideas For The LDS Community. We provide fresh articles from members of The LDS Church and feature real-life stories of their Trials, Conversion, Missionary Work, and Personal Experiences. Founded by 14 Year old Young Man of the church, it began to operate on April 2015. Moroni Channel is an International Sharing the gospel movement that consists of volunteers around the world who have the desire to help share the Gospel, and to respond on the criticism and Questions about The Church of Jesus Christ of Latter-day Saints (LDS Church) on social Media. Our purpose is to help Share the Gospel of Jesus Christ on Social Media and to publish uplifting and informative contents to the LDS Community. 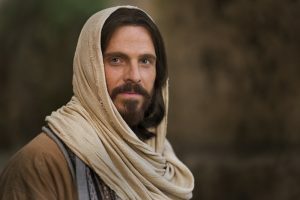 To help Share the Gospel of Jesus Christ through the use of technology, to inform others who Mormons are, and to publish uplifting contents for the LDS community. We at Moroni Channel need fresh ideas and articles from members of the church that can help our content remain uplifting, edifying, and relevant. If you are interested to contribute to Moroni Channel, send us your work. You will be credited in your articles and/or News Reports, submit it here. Make your Inbox more interesting with Moroni Channel. Headline news and op-eds delivered to your inbox weekly. We're honored that when it comes to Mormon News and Contents you think of Moroni Channel. You will start receiving our latest issue next week. Founded by 14 year old young man of the church, it began to operate in April 2015. MCH publishes articles that are Meaningful, Inspiring, Uplifting, and Edifying, Stories, Articles and News Articles. No part of this content or the data or information included therein may be reproduced, republished or redistributed without the prior written consent of the Publisher & Moroni Channel except in the case of brief quotations embodied in critical reviews and certain other noncommercial and church uses and purposes permitted by copyright laws. Your Social Media Source In Providing Church News, Entertainment, Lifestyle And Other Useful Ideas That Are Relevant To The LDS Community.